My short story, LB Lange Comes Home, is now available on the Amazon kindle, kindle fire, and the kindle app for all platforms for just $3.00. April 22, 2013 — For the first time since high school, I can say I’m home. I have come back to where I spent the first eighteen years of my life, but I have no sense of home. Twenty two years have passed and I’ve jumped around houses, apartments, beaches, tents, parks and streets, all over California. Home has just been whatever I’ve made it. Now, under the thick San Francisco fog, my home has no windows, doors or family dinner. The last time I called the City my home was in 1991, when I was a senior rocking my satin Giants button down jacket and hearing C+C Music Factory’s ‘Gonna Make You Sweat’ on repeat down the halls of Golden Gate High School. In ’91 everybody knew my name. I, Johnny Lange, was a rockstar and knew how to act like one. At eighteen years old, I sported perfectly combed silk brown hair that went halfway down my ears, bulging Lou Ferrigno biceps and eyes as cold and blue as our Pacific Ocean. Man, I thought I was as cool as Joe Montana himself, but trust me, I was no Joe Cool. My exterior swagger was just my mask for what burned inside. Now, I’m holding this pen with dirtied hands from the streets and not bathing in at least three days, a straggly brown beard with aged grey hairs starting to peak out, an alcoholic’s beer belly, and a grey beanie on my head I found on the Santa Cruz boardwalk. 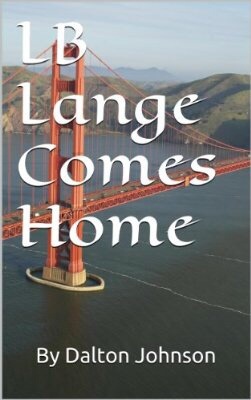 To continue reading LB Lange Comes Home, you just have to pay $3.00 on the kindle or kindle app.